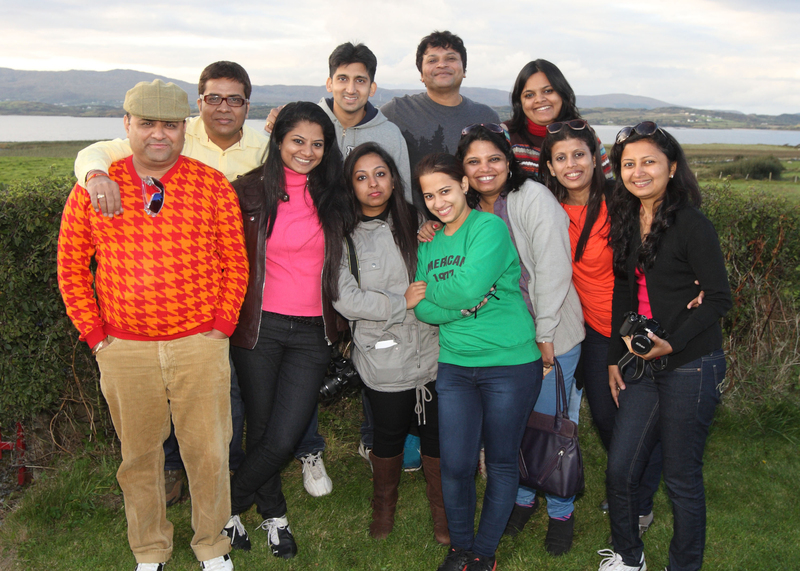 Indian tour operators with Nilam Patil, Tourism Ireland (third left), checking out the Wild Atlantic Way. Tourism Ireland invited ten leading tour operators from India to visit Clare this week, in advance of attending a B2B workshop with Irish tourism enterprises in Dublin on Thursday (16 October). The group’s itinerary included lunch at The Tea & Garden Rooms in Ballyvaughan, a visit to the Cliffs of Moher, a site inspection at Trump International Golf Links & Hotel, as well as an evening at the medieval banquet in Bunratty Castle. They group stayed at the Bunratty Castle Hotel. Jim Paul, Tourism Ireland’s head of Australia and developing markets, said: “Tourism Ireland is delighted to bring these influential tour operators to Ireland for the annual New Markets Workshop – which provides such an important opportunity for our Irish tourism partners. Fact-finding visits like this are a valuable element of Tourism Ireland’s overall promotional effort in emerging tourism markets like India; they provide an excellent opportunity for us to position Co Clare and Ireland as a ‘must-see’ destination.